"The well rounded professional makes little distinction between work and play, labor and leisure, the mind and body, education and recreation and love and religion." Robert L. Dilenschneider formed The Dilenschneider Group in October, 1991. Headquartered in New York and Chicago, the Firm provides strategic advice and counsel to Fortune 500 companies and leading families and individuals around the world, with experience in fields ranging from mergers and acquisitions and crisis communications to marketing, government affairs and international media. Prior to forming his own firm, Mr. Dilenschneider served as president and chief executive officer of Hill and Knowlton, Inc. from 1986 to 1991, tripling that Firm's revenues to nearly $200 million and delivering more than $30 million in profit. Mr. Dilenschneider was with that organization for nearly 25 years. Mr. Dilenschneider started in public relations in 1967 in New York, shortly after receiving an M.A. in journalism from Ohio State University, and a B.A. from the University of Notre Dame. Experienced in a number of communications disciplines, Mr. Dilenschneider is frequently called upon by the media to provide commentary and strategic public relations insights on major news stories. He has counseled major corporations, professional groups, trade associations and educational institutions, and has assisted clients in dealings with regulatory agencies, labor unions, and consumer groups, among others. In 2001 he established The Borromean Lecture at St. Charles Preparatory School of Columbus, Ohio. The annual event attracts a nationally renowned speaker to talk on the topic of morals and ethics in business and government. In 2012 The Dilenschneider Group established the Civility in America Lecture Series, which features many of the nation’s leading thinkers from a wide variety of professions and provides a perspective on what must be done to restore civility in our Country. Mr. Dilenschneider serves as a Trustee of the Institute of International Education and is a member of the North American Advisory Board of The Michael Smurfit School of University College Dublin. He serves as a judge for The Olin Award, a program of the Olin School of Business at Washington University in St. Louis. A member of the Council on Foreign Relations and the Economic Clubs of New York and Chicago, Mr. Dilenschneider has also served on numerous corporate boards. 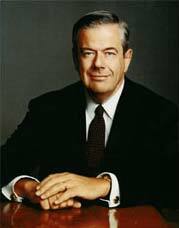 A former member of the Board of Governors of the American Red Cross, Mr. Dilenschneider also served on the advisory board of the Center for Strategic and International Studies, the Board of Governors of the New York Chapter of the National Academy of Television Arts and Sciences, and The Bretton Woods Committee. He is a former member of the U.S. Japan Business Council and the Florida Council of 100. In 2001, he received an honorary Doctorate of Public Service degree from Muskingum College, and in 2012 he received an honorary Doctorate of Humane Letters from the University of New Haven. Mr. Dilenschneider is a Knight of Malta. Mr. Dilenschneider has been called the “Dean of American Public Relations Executives” and is widely published, having authored 14 books, including A Briefing for Leaders, On Power, The Critical 14 Years of Your Professional Life, Moses: C.E.O, The Critical 2nd Phase of your Professional Life, 50 Plus!—Critical Career Decisions for the Rest of Your Life, A Time for Heroes, Power and Influence: The Rules Have Changed, and most recently The AMA Handbook of Public Relations. His new book, Decisions, will be published by Kensington Press in Fall 2018. He has lectured before scores of professional organizations and colleges, including the University of Notre Dame, Ohio State University, New York University and The Harvard Business School. Stuart Pinkerton 40 years: author, media including former managing editor Forbes, deputy managing editor of Wall Street Journal. Peter Truell 35 years: financial, corporate, hedge funds, media relations, consulting, media, The Economist, The Wall Street Journal, The New York Times, Boston Consulting Group, Barclays, Nomura, Elliott Management and Moody's. Copyright © 2009, The Dilenschneider Group, Inc.